Now for the fun part! We are giving away a $25 Save A Lot gift card to two lucky readers 😀 All you have to do is complete the easy peasy rafflecopter below. Be sure to get the bonus entries for more chances to win. Good luck! Those sound so good. My kids would LOVE those! Yum yum I love pinwheels although mine would be veggie. I loved the pinwheel recipes you featured all week! Thanks for this awesome giveaway too. Great recipe ideas! I actually just made some peanut butter pinwheel candy and shared it on my blog. Those pinwheels all look delicious!! We will watch the Superbowl so I’m looking forward to trying these out! Great giveaway thank you. Looks so rich and yummy. I will try this recipe. These pinwheel recipes are superb. I would give them a try definitely. 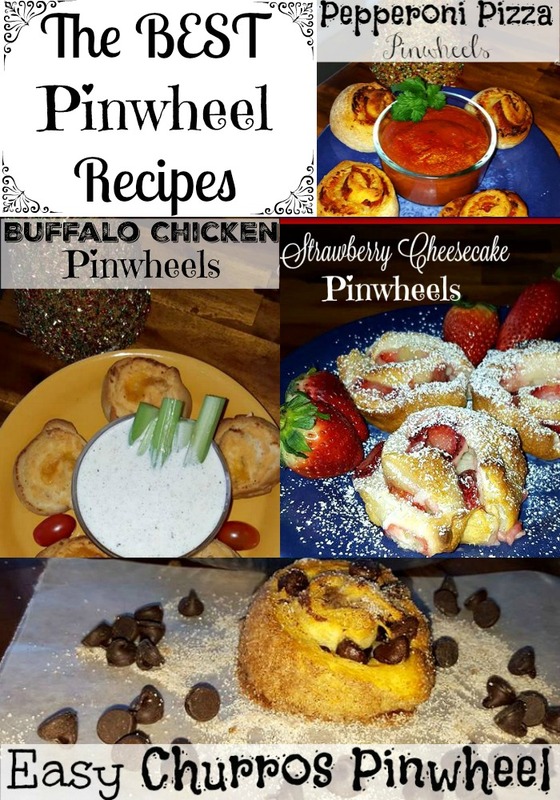 Yes, these were some great pinwheel recipes that you shared. Most had never crossed my mind! Those strawberry cheesecake pinwheels are really calling my name. They look delicious. That looks so yummy! The girls will love this, for sure. Yes, I plan on watching the Superbowl! I’ve made a few versions myself. Now I have even more to try, and they all look incredible! These are all great recipes. I can’t wait to try some of them. For me, Football parties are all about the food and the commercials – not the game! Thank you! Emailed you my info.